The Bad Kleinkirchheim region presents its guests with non-stop sunshine moments. Wide, family-friendly pistes wind their way through the rolling hills of the Nockberge mountains. Families with children of all ages will enjoy tobogganing sessions or ice-skating on the natural ice surface of Lake Brennsee. Taking some time-out on the sunny side of the Alps is a one-of-a-kind privilege. 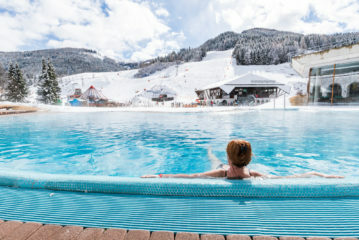 Bad Kleinkirchheim and the family sports village of Feld am See offer a wealth of options at any time of year, also due to their geographical location: hot springs, welcoming hosts and, during the colder months, a stunning winter wonderland high above the cloud line. All in all – a combination that is hard to resist! The Bad Kleinkirchheim ski resort is a treat for all skiers, independent of their level of skill. 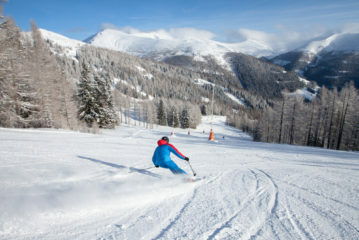 While the World Cup downhill run “Kärnten – Franz Klammer” is ideal for adrenaline junkies, the majority of the pistes in the resort are wide and family-friendly. Snow is guaranteed, with artificial snow available in 97% of the resort. As early in 1055 AD, Count Palatine Poto is said to have recognised the regenerating powers of the thermal waters of Bad Kleinkirchheim when he drank from the spring. 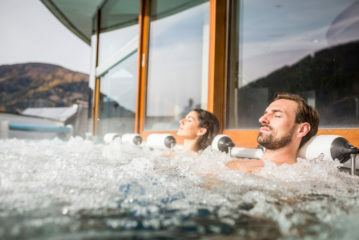 Today, almost 1000 years later, the town has two state-of-the-art thermal spas at its disposal that fulfil even the most sophisticated expectations: the Familien- & Gesundheitstherme St. Kathrein, fully renovated in 2017, and the Thermal Römerbad. 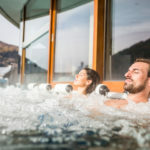 In addition to outdoor adventures in the mountains and in-depth relaxation in the thermal spa, a holiday in Bad Kleinkirchheim and Feld am See also has plenty to offer to discerning palates. 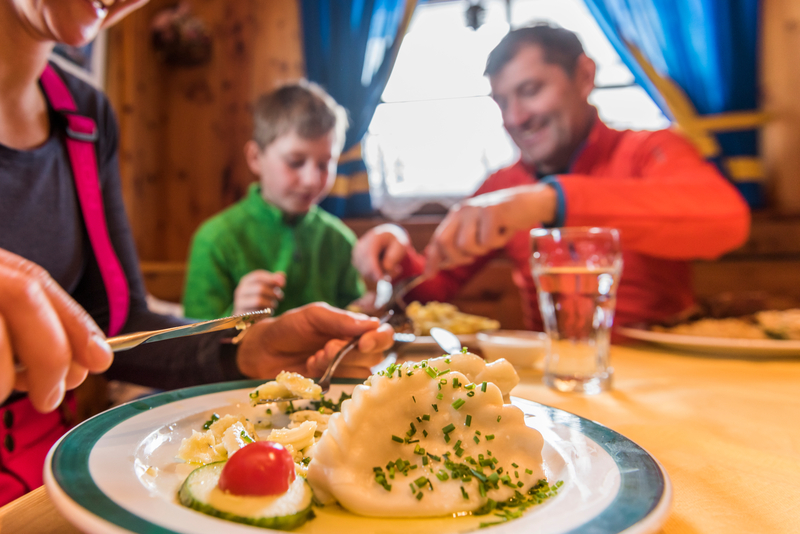 Whether in award-winning restaurants or cosy inns, lakeside bistros or rustic ski huts – there are endless possibilities for guests to delight in the variety of regional Alpine-Adriatic cuisine. 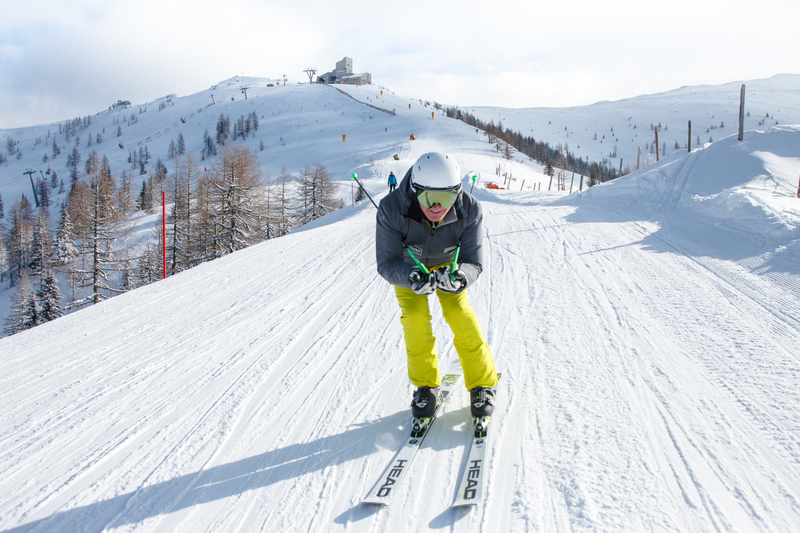 Our expertly groomed pistes are not the only way to enjoy one-of-a-kind sunshine moments. Countless winter hiking routes wind their way around the towns of Bad Kleinkirchheim and Feld am See, offering new perspectives on this enchanting winter landscape. Guided snowshoe hikes take you to the heart of the unspoilt setting of the Nockberge Biosphere Park, and the natural tobogganing runs of the region offer unforgettable thrills.